Today, I want to talk about network marketing vs. other online businesses I’ve owned and tried, just to give you both sides of the coin and give you a complete perspective. The network marketing industry doesn’t have the greatest reputation because of the so called “failure rate.” What people forget to mention is that MOST businesses fail and building a successful and profitable business of ANY kind is very time consuming and hard to do. It can be done, but it takes some patience, a good game plan and perseverance. I will be the first to admit that I have always tried to be open minded and try different ways to make money online! I am a big believer in multiple streams of income and know that it’s good to diversify. The truth is, there is no magic pill to success in network marketing or ANY business. There is no easy way to get rich quick or start having a profitable business right away. Most of the online businesses I’ve tried took me AT LEAST one year just to get profitable and figure out. Some took even longer than that to figure out and get profitable. What I’m going to do in the rest of this post is share some personal experiences in different online business models, just to give you some different perspectives. I hope you find the information helpful. Here are some of the online businesses I’ve tried and what results I’ve gotten with them. # 1 Kindle Books – As of today, I have about 10 different Kindle Books that I sell on Amazon. They are priced from $2.99 to $7.99 each depending upon the subject matter. Those Kindle books took me at least 100 hours EACH to write and some took much longer that that. On an average month, I make about $75 to $100 per month in Kindle Royalties. Yes, I do have some real good months where I earn more than that, but this is about my average for the past year. Everyone tells you that selling books on Kindle is the way to go. They tell you how easy it is and how quick you can rake in money. What they forget to tell you is that it takes a long time to write a GOOD book AND your chances of becoming a top seller are VERY small. I’d bet that at least 95 out of 100 authors on Amazon make little to nothing each month (even less than I do). Yes, there are some big success stories, but they are few and far between. But no one calls Kindle a scam! # 2 Selling on eBay – I’ve been selling on eBay for more than ten years now. On an average month, I sell about $3k to $8k in gross sales. Of course, NOT all of that is profit. My margins are normally about 20% to 40% depending upon what I am selling. Most of my items I sell in my eBay store, so I can have inventory sit around six to twelve months before it sells. Of all of the things I’ve tried online, selling on eBay is probably the fastest way to make money online. But even that has a learning curve. You have to figure out where to get inventory, you have to tie up money to get it, and you have to SELL it! Even though eBay can be quick money it does not come without its problems. Once you get stiffed by a buyer for a few hundred dollars or few thousand dollars you will know what I am talking about. Once something gets lost in customs in another country and you are out of money and product you will know what I am talking about. Once someone sends back a different item than they purchased and you are out the item and money you will know what I am talking about. Plus, there is tons of competition. And shipping prices with the postal service keep going up. I know plenty of folks who have tried making money on eBay but got frustrated and gave up, yet no one calls eBay a scam! # 3 Affiliate Marketing – Affiliate marketing is when you sell someone else’s product or service and earn a commission for doing so. You simply send people to another website and if they buy something on that website you earn a commission. Affiliate marketing has been popular for many years now. It’s great because you don’t have to create a product. You don’t have to process payments, ship anything or deal with customers either. I currently earn about $500 to $700 per month with affiliate marketing, on an average month, so I can attest that it does work once you know what you are doing. My first year with affiliate marketing I made about $20 for the YEAR. I had to go through a steep learning curve and learn about traffic and conversions. I also know that more than 90 out of 100 people who do affiliate marketing earn nothing at all (just ask any affiliate manager). Yet, no one calls affiliate marketing a scam. # 4 Building Websites and/or Blogging – I’ve been building websites and blogging for about four years now. It has NOT been an easy road. The first year I earned nothing, the second year I earned very little, the third year got better, and the fourth year has been rewarding. I anticipate within another 12-18 months, just one of my websites will pay ALL of my bills. That sounds great, but it took me FIVE years! It was definitely not a get rich quick or overnight success. Here’s what I’ve found. More than 90% of ALL blogs and websites earn nothing. They fail. That’s why you see so many abandoned blogs and websites online. Yet, no one calls blogs a scam. # 5 Creating Information Products – Creating information products has really paid off for me. I consistently make between about $800 and $1500 per month from my information products. This includes eBooks, courses, audio programs, etc. It took me more than 90 days to sell my first information product. This does not include the 200-300 hours it took me to create it or the hundreds of dollars I spent in advertising. It takes a special person to create information products and even if you are good at creating information products, selling them is a different story. That takes a different skill set. I know plenty of folks who have tried with information products but MOST of them gave up and failed. Yet, no one called information products a scam! 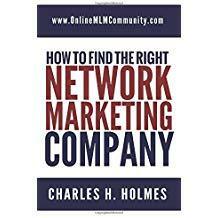 Network marketing is no different than any of the businesses mentioned above. The beauty of network marketing is the low start up costs, the fact that you can create leverage and passive income, and that you have a mentor who helps you FREE of charge. No other business model offers that. You might succeed and you might fail. Individual results will vary. However, if you pay your dues and stick with it, you can do very well for yourself. We are the only industry I know of where people call it a scam because they failed! The truth is, most businesses fail. So do most marriages, most diets, most jobs, most savings plans, most New Year’s resolutions, etc. Once again, just because you fail doesn’t mean it’s a scam! I believe that any of the business models mentioned above are great opportunities. But they are not good for the person looking to make money right away or get rich quick. Most of these business models will take at least one to two years to start making any kind of money and probably a bit longer to make anything substantial (more than $3k per month). Yes, there are exceptions, but the exceptions are few and far between. Of course, no one ever tells you that. So that’s what I wrote this post: to tell you that there is no magic pill to making big money online, especially if you want to do it quickly. So if you are really hurting for money, get a part-time job and do this stuff on the side at night, when you get home from work. Get a job to keep the monkey off your back and build your fortune in your free time. That’s what I’ve done! And if I can do it anyone can. Now, when it comes to network marketing, it’s the same thing. You must be willing to commit a few YEARS to your business to see any type of significant results. Rome wasn’t built in a day and your business won’t be built in a day either. Thinking you will be in the positive cash flow right away in any type of business is a big mistake. Of course, a select few people start making money right away, but most of these folks have already taken the time to devleop the right skills and right mind-set. So there you have it folks. This is my experience with network marketing vs. other online business models I’ve tried. I’d love to hear what you think about network marketing vs. other online businesses. Leave a comment below to share your thoughts. For a long time, I also wheeled and dealed on eBay with antiques and collector coins. It was a good income stream. As for the website, I have one now, but will probably let it go. It has not done well and I have a different plan of action. Now as for books, I have over 50 published both in paperback and on Kindle. They have ups and downs. I do think information CDs might be the way to go. I have some good info to share. Great article Chuck. I have several websites and it takes at least two years to get one even breaking even with what you put out dollar wise. It depends on your niche of course and how much time and effort you put into it. You might break even in a year if you were doing it as a full time job and had a really lucrative niche to work with. And websites are probably one of the easier things to do with your time. I like network marketing because (if you picked a decent one) you’re directly working with selling product and can set how much you make and the hours you work, not to mention the residual part once you get a team going. It’s really ideal for the person who can only do it part time and not expect to make six figures to pay the mortgage, but to work toward financial freedom over several years. I don’t think the type of business is the issue – I think the mindset of wanting to get rich quick is what dooms people. They do it for a few months to a year then decide it’s “a scam” and quit right when they were starting to get some traction. This article is spot – on and accurate. I have owned many businesses and this aligns with my experiences and those of everyone I know who has owned businesses. Fantastic post Chuck! Blogging and selling on eBay have been the most profitable avenues for me (out of these choices). They are completely different. eBay sales are more of a sprint: they require some sort of inventory and provide quick, relatively easy income. Blogging is more of a marathon: obviously no inventory and little overhead is required, and it is takes a while to build up to any real income level, but really worth putting in a lot of hard work up front.